Researchers at the University of Calgary in Canada have discovered the unique genes that allow the opium poppy to make codeine and morphine, thus opening doors to alternate methods of producing these effective painkillers either by manufacturing them in a lab or controlling their production in the plant. "The enzymes encoded by these two genes have eluded plant biochemists for a half-century," said co-author Dr. Peter Facchini, professor in the Department of Biological Sciences, who has dedicated his career to studying the unique properties of the opium poppy. "In finding not only the enzymes but also the genes, we've made a major step forward," said Dr. Facchini. "It's equivalent to finding a gene involved in cancer or other genetic disorders. With this discovery, we can potentially create plants that will stop production at codeine. We are also working toward the synthesis of codeine and other opiate drugs more efficiently and economically in controlled bioprocessing facilities. Our discovery now makes it possible to use microorganisms to produce opiate drugs and other important pharmaceuticals." One of the next steps for the research team is using the codeine gene to produce pharmaceuticals in yeast or bacteria. The other co-author, Dr. Jillian Hagel, a post-doctoral scientist in Dr. Facchini's lab, was assigned the task of finding the key genes as part of her Ph.D. research. She succeeded using cutting-edge genomics techniques that helped her sort through up to 23,000 different genes and ultimately find a single gene called thebaine 6-O-demethylase (T6ODM) that codes for the plant enzyme that converts thebaine to codeinone, which is then converted to codeine by a known enzyme. She then went on to find the gene coding for the enzyme called codeine O-demethylase (CODM) that converts codeine to morphine. A possible new therapeutic avenue may have been opened up with scientific evidence for a never-seen-before way in which cells can sense and respond to physical forces. A team of researchers has shown that the biochemical activity of a cellular protein system, which plays a key role in cancer metastasis, can be altered by the application of a direct physical force. This discovery sheds important new light on how the protein signaling complex known as EphA2/ephrin-A1 contributes to the initiation, growth, and progression of cancerous cells, and also suggests how the activity of cancer cells can be affected by surrounding tissue. EphA2 is a member of the receptor tyrosine kinase (RTK) family of enzymes that are key regulators of cellular processes. The over-expression of EphA2 has been linked to a number of human cancers, including melanoma, lung, colon, and prostate, but is especially prominent in breast cancer. 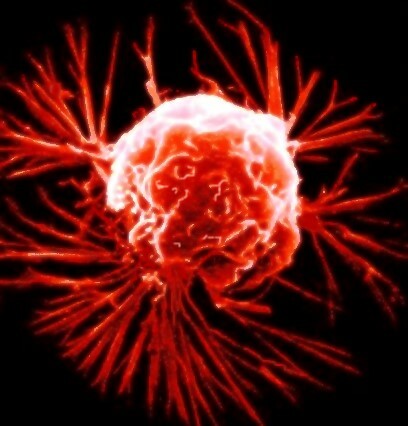 Some 40 percent of all breast cancer patients show an over-abundance of EphA2, with the highest levels found in the most aggressive cancer cells. Ephrin-A1 is a signaling protein that is tethered to the surface of a cell’s outer membrane. It binds to EphA2 in a neighboring cell like a key fitted into a lock. When ephrin-A1 binds with EphA2, the newly bound complexes become activated and gather in a cluster. “The host cell will then literally give the clusters a distinctive tug, applying a force that pulls the clusters across the surface of the cell to a centralized location,” Dr. Groves said. “What we found is that by applying an opposing force, we could alter the cell’s biochemical activity. When we applied a big opposing force we were able to convert highly invasive cells into well-behaved cells. In the far northern reaches of the Arctic, day versus night is often not a practical concern. During parts of the year, the sun does not set; at other times, it does not rise. A new study by an international team of researchers shows that Arctic reindeer have come up with a surprising adaptation to living under those extreme conditions: They’ve apparently abandoned use of the 24-hour internal clock that typically drives the daily biological rhythms in other organisms. “Our findings imply that evolution has come up with a means of switching off the cellular clockwork,” said Dr. Andrew Loudon of the University of Manchester in England, the senior author of the study. “Such daily clocks may be positively a hindrance in environments where there is no reliable light-dark cycle for much of the year.” Light-dark cycles drive hormone rhythms via a circuit that involves the eye and nervous system projections to structures involved in regulating hormone rhythms, in particular that of melatonin, Dr. Loudon explained. In most mammals, this wiring circuit also involves an internal clock that drives hormone levels in a rhythmic 24-hour fashion, even when there is no light-dark cycle. “In reindeer, it is this clock element that seems to be missing,” Dr. Loudon said. The reindeer show no natural internal rhythm of melatonin secretion at all. Instead, hormone levels rise and fall in direct response to light and dark. The researchers show that melatonin levels remain at or below detectable levels during daylight hours. Those hormone concentrations spike almost as soon as the light goes out, only to plunge again when light returns.